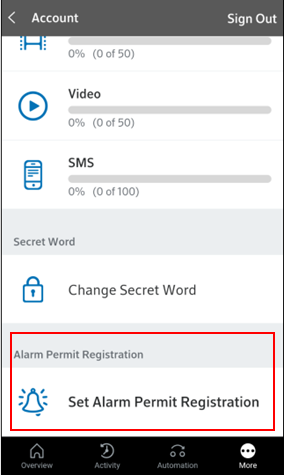 Follow the steps to add or change your Alarm Registration number and expiration date in the mobile app. 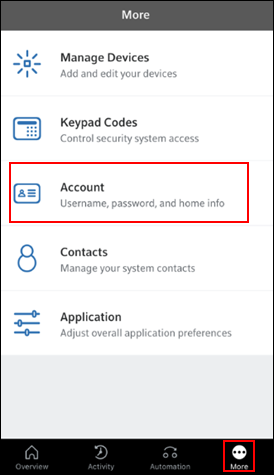 Tap the More menu and select Account. 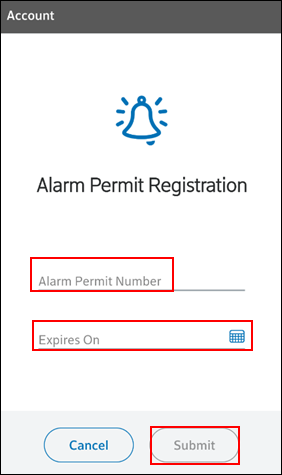 Scroll to the bottom of the screen to the Alarm Ordinance and Permit Registration section. Tap Set Alarm Permit Registration. On the Alarm Permit Registration screen, complete the following steps. Enter your Alarm Permit Number. Enter the expiration date in the Expires On field. Tap Submit to save your alarm information.